We’ve all had them, haven’t we? One of those days… The days when it seems nothing’s going quite right. Money is tight. You don’t know if you’re heading in the right direction. You’re not sure if what you’re doing is working. Or, all that, plus you burned the bottom of the pan when you were heating up your potato and leek soup for lunch. Yep… I burned my lunch. Your version of one of those days might look completely different to mine but we know them when we see them. So, when your day (or week, or month) has been a bit like mine, you have a couple of choices: give in to the frustration or look for something to snap you out of your narrow mindset. The trick is to turn your thinking around before it gets any worse. You can meditate or focus on gratitude or, you can spend some time looking for inspiring quotes, like I did. 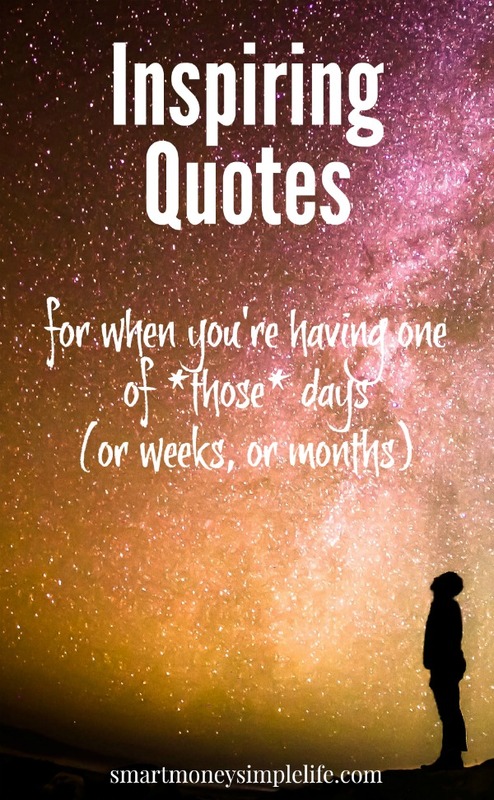 Here’s a relatively random list of inspiring quotes if you’re a little bit stuck in the struggle phase and need to be reminded that staying focused, staying on task and believing in your goal are the keys to achieving your goal – whatever it might be. So, I hope you enjoy reading these quotes as much as I did gathering them. I’ve tried to settle on a favourite but I can’t. They are all great quotes and I can definitely connect with the message that you have to be willing to take risks if you’re serious about pursuing your dreams. Yes. It can be scary and you’ll be tempted to throw in the towel, often, but even if you don’t achieve all you hope to, you’ll achieve far more than the person who never risks making mistakes or looking foolish. The rewards will be worth it. I plan to keep revisiting these quotes until one hooks me, then I’ll put it up on my planner so I can see it all the time. Do you have a favourite from this list? Or a favourite that’s not on the list? Please share it in the comments. I like the one about life not being about finding yourself but about creating yourself. I think we all spend too much time trying to figure out who we are rather than just going out and becoming the person. Yes! I wasted years down that rabbit hole.